It’s Summer and I want to revisit my potato salad recipe and update it a bit. Because who doesn’t like potato salad, especially in the Summer? My first update is about peeling hard boiled eggs. It’s so frustrating when the shell doesn’t lift off the egg white and you end up losing most of it. 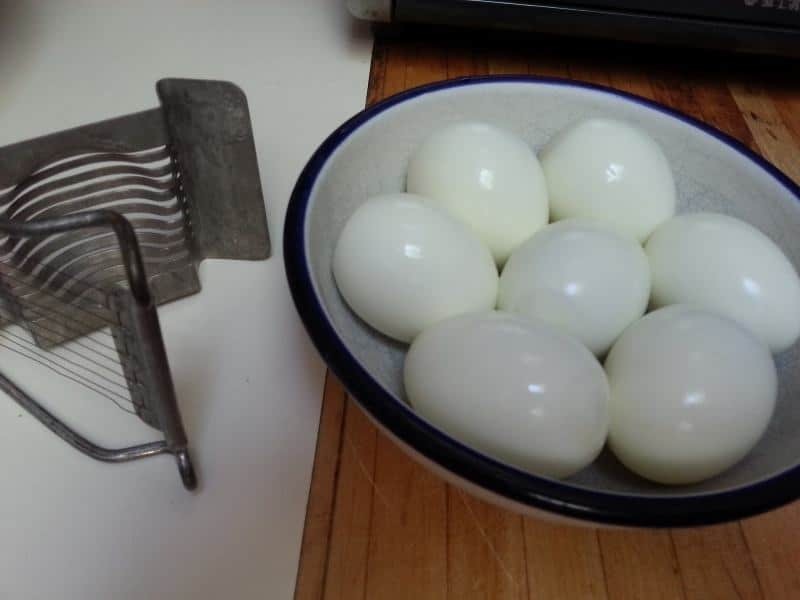 So I did some research and I learned the best way to cooked “hard” boiled eggs is with steam, that’s right, steam. This is how I steamed them. I put my collapsible steaming basket in a pot and filled it with enough water so that it is just barely up to the basket. Just like steaming vegetables. Place the eggs in the basket and bring the water to a boil. Once the water is boiling, cover and steam for 20 minutes. 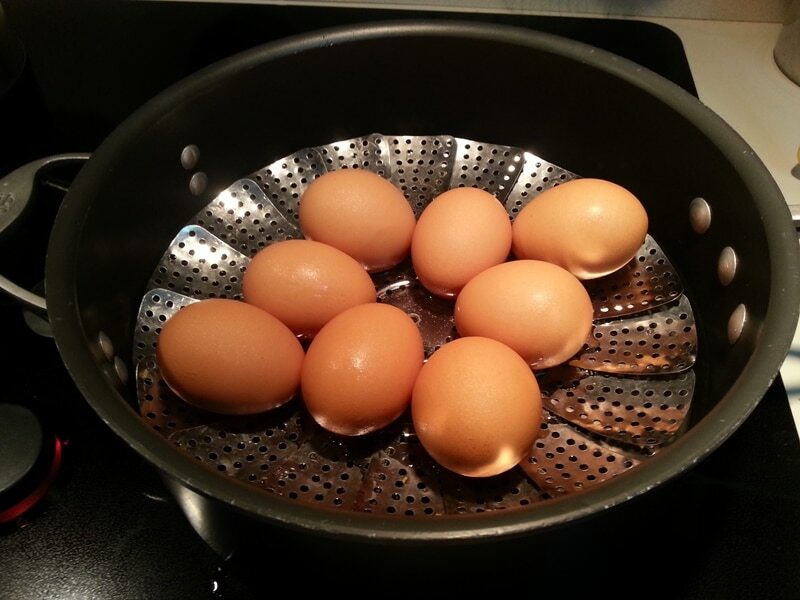 Even these brown eggs cooked beautifully and were extremely easy to peel. Here’s the proof! My next update is about potatoes. 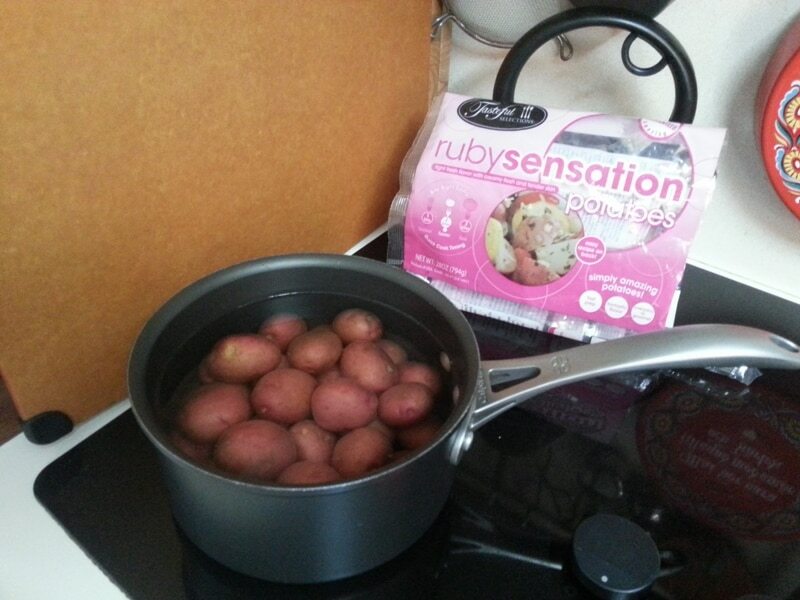 I found Ruby Sensation bite-sized potatoes at Kroger. They are pre-washed, fast cooking potatoes that don’t need any peeling. How convenient is that? These potatoes significantly cut the prep-time. My kind of potatoes! I hope these new updates make you as happy as they’ve made me. (That’s all it takes, you ask? Sheesh!) 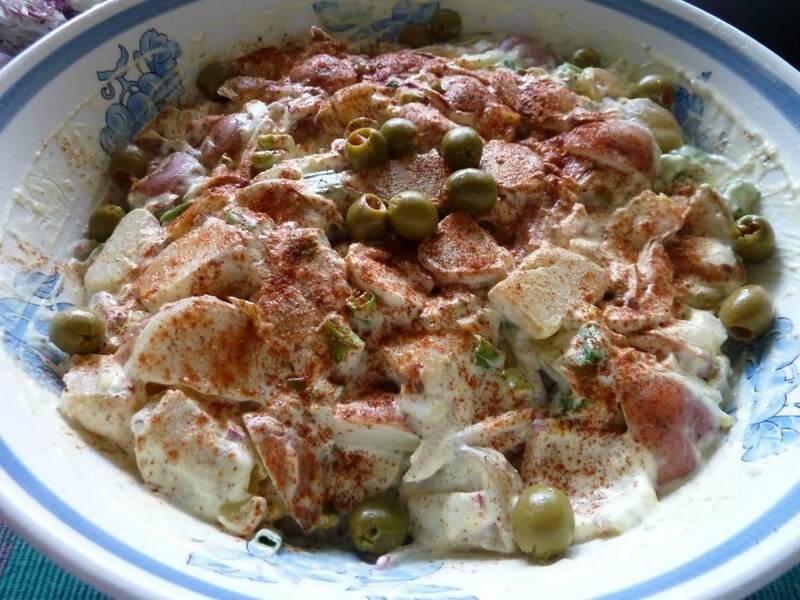 Enjoy some potato salad at your next BBQ or picnic. Happy Summer! Next Next post: FIFA World Cup Soccer – GREECE!